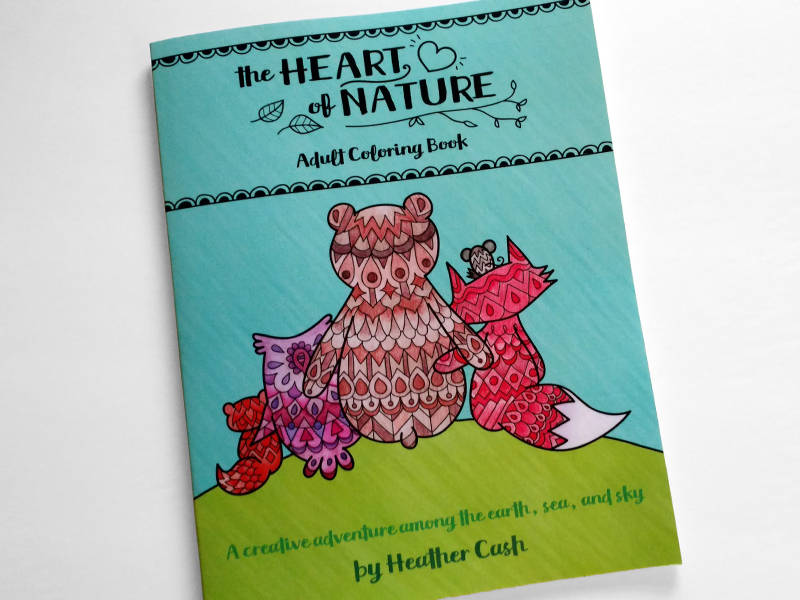 During Sept-Nov 2016, I created and illustrated my own adult coloring book, called “The Heart of Nature.” This book contains 30 single-sided illustration pages featuring a different reflection of nature’s beauty. 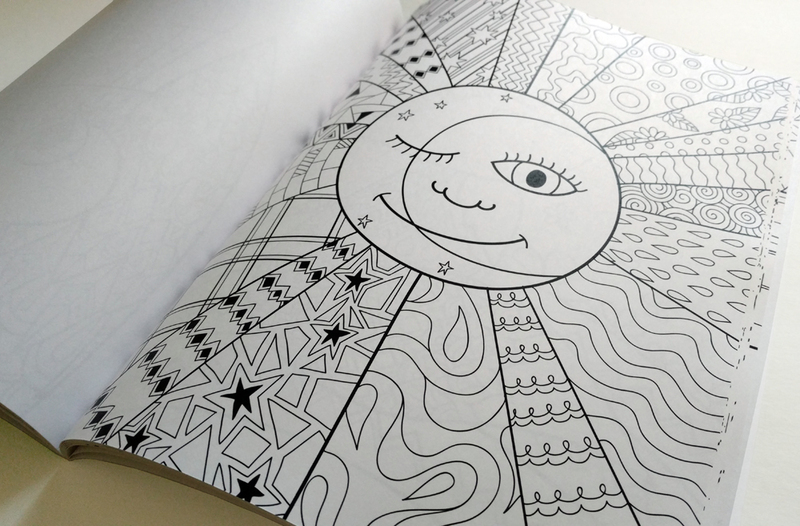 Since it is an adult coloring book, the illustrations feature more intricate designs than my kids’ coloring book. 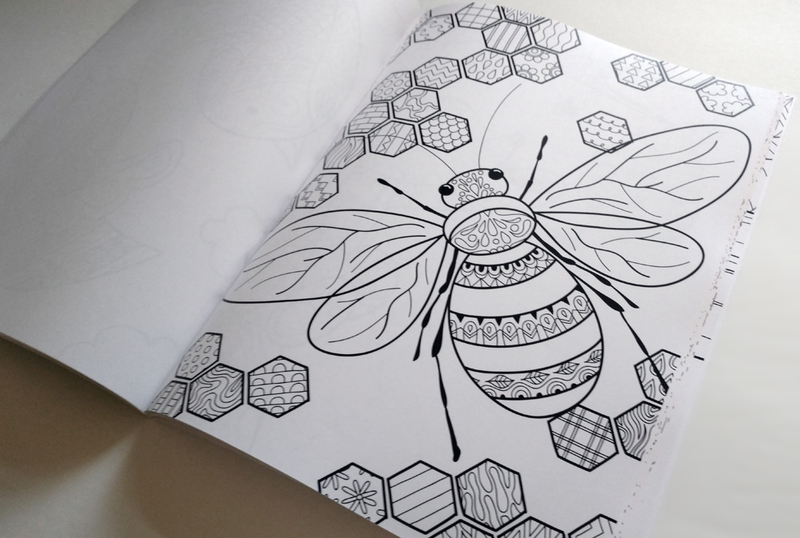 I really enjoyed focusing on all those little details, and coming up with new patterns to include in my drawings. 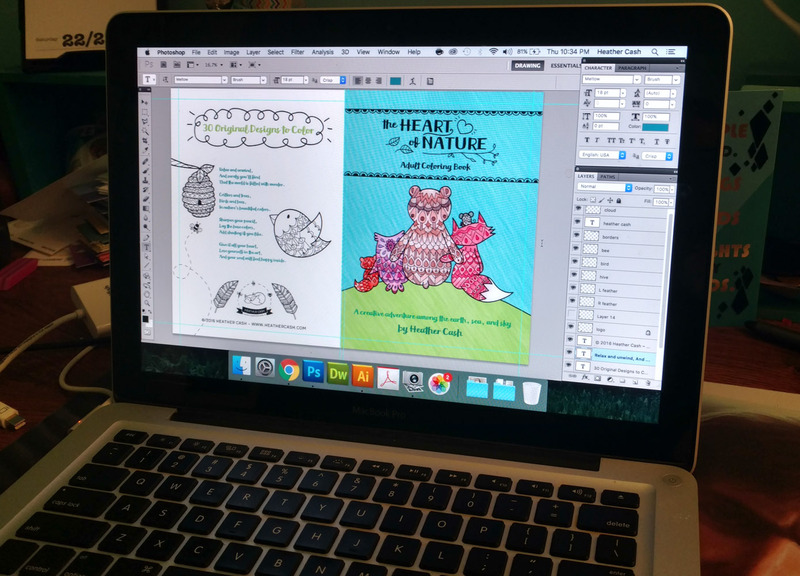 My process started with first sketching the page out in pencil on paper. 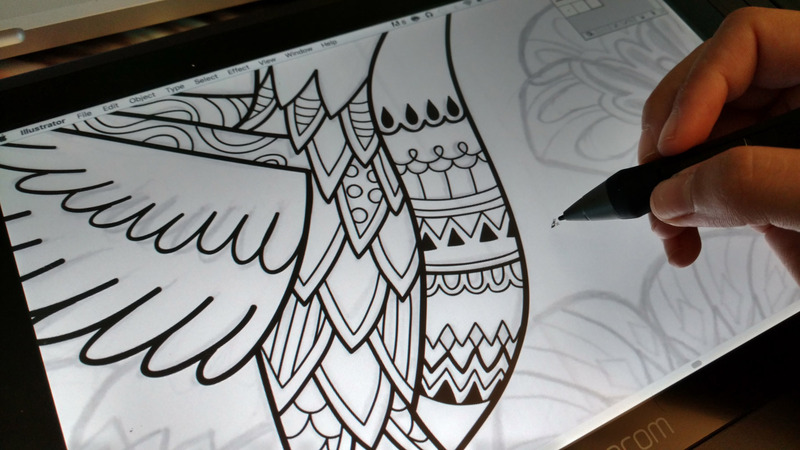 Then, I would scan the individual page into the computer, and re-draw the whole thing on my Wacom tablet in Adobe Illustrator to get nice, sharp, clean lines. 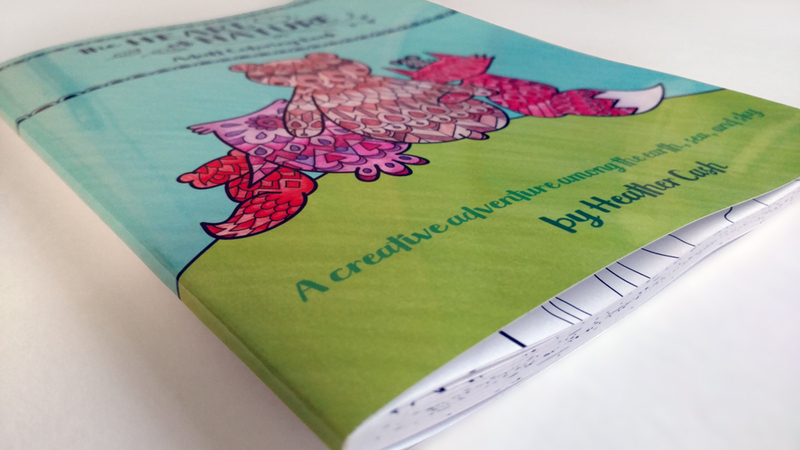 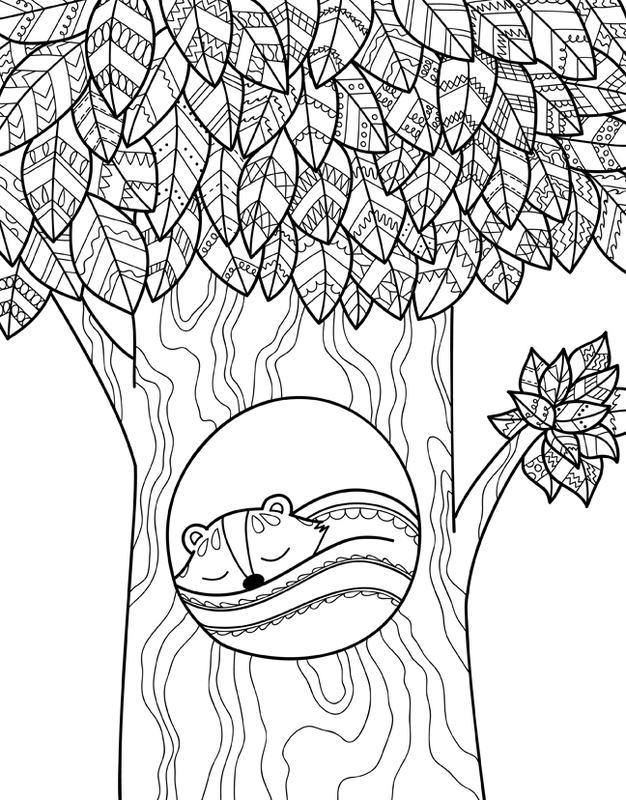 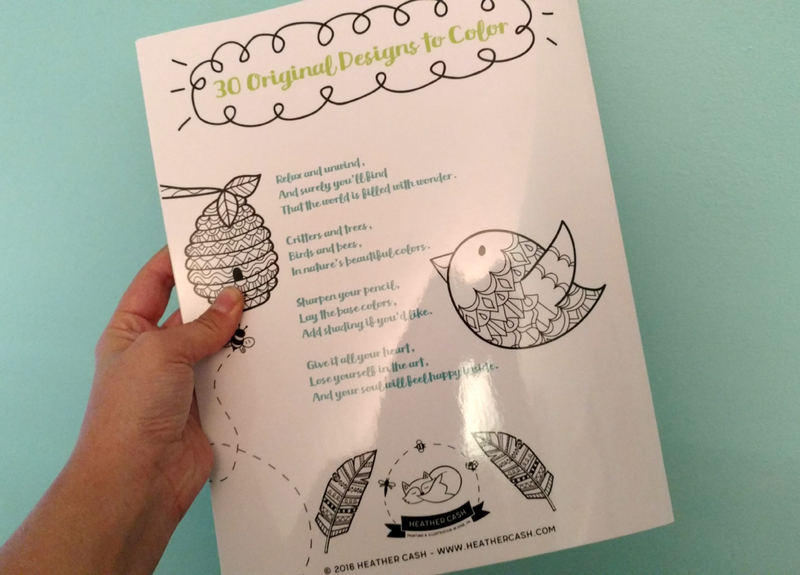 Illustrations include cats, forest animals, flowers, feathers, insects, moon/sun, birds, a campfire, a dreamcatcher, an acorn, a dog, and much more! 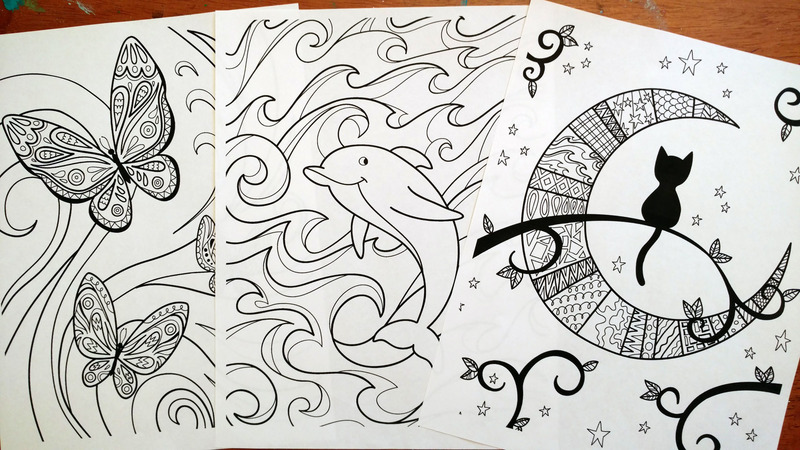 Can be purchased from my Etsy shop, and at various local shops around Erie, PA and Ormond Beach, FL.